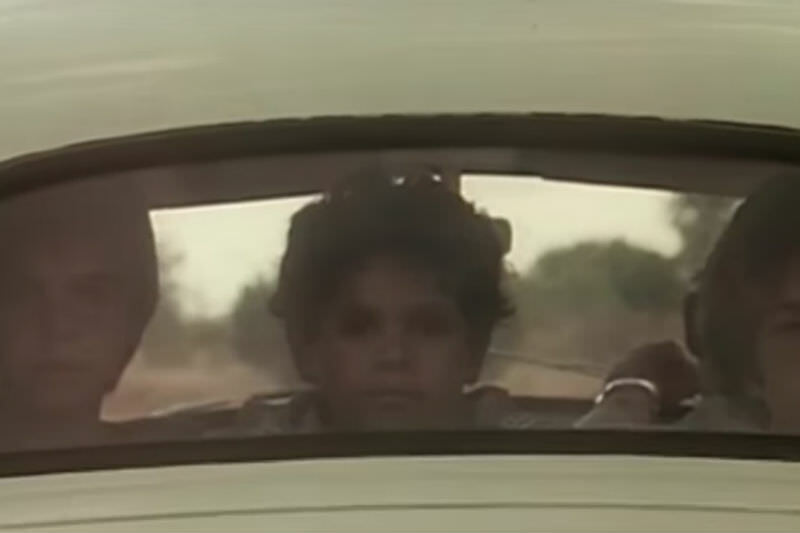 Commemorating the 25th anniversary of the Royal Commission into Aboriginal Deaths in Custody, on 13 April, NITV re-screened Richard Frankland's 1993 documentary Who Killed Malcolm Smith? Watching it, it became totally clear to me about Manus Island and Nauru. That's why. That's why our nation, our government can torture with impunity. And why, despite this torture being almost common knowledge, we let it go on. Perhaps as a nation it — this violence, this contempt of the 'other' by mainstream Australian society — is in our DNA. When Malcolm Smith became an incarcerated youth offender, nothing was allowed in his cell. Hours upon hours with simply nothing to do. Forced only to do nothing. Surely that's a form of torture. During the day, both as a youth offender and later as an adult, there was only hard, useless labour to fill in the hours. As an 11-year-old Aboriginal boy, Smith and his two younger brothers had taken other children's pushbikes, ridden them for a while and then abandoned them. Surely a childhood prank. Yet the wholehearted punishment was immediate. The welfare system immediately became prosecutor, judge and jury — the three brothers simply taken, their dwelling deemed unsuitable, the father not informed. Smith was sent to the Kinchela Children's Home. So many rules to obey: 'only rules and regulations, no love and affection'. As a 15-year-old still under government 'care' he was sent to Sydney. Illiterate, despite years of 'schooling' in a government institution, the young country boy was seemingly abandoned in a huge city where he knew no one. How was he meant to survive? "Only later did I fully understand the rightness of Lillian Crombie's dance to the classic 'Brown Skin Baby', intertwining the two issues: the children of the Stolen Generation becoming many of the adult Black Deaths in Custody." In 1984, Charlotte Walker's brother died in custody. A South Australian, he died a violent death in Fremantle prison. Already there had been many calls for a royal commission into Aboriginal deaths in custody. In the Sydney Town Hall I witnessed, at her request, the first night of the national tour of the family members of victims, one of them being Charlotte herself. Following the extraordinary, sorrowful, puzzled and angry speeches of family members, came the never-to-be-forgotten finale: the solemn liturgy of the rolling screen and the accompanying slow and seemingly interminable spoken roll call. Smith's name must have been among them. With the support of the Aboriginal Legal Rights Movement, Charlotte and I became part of the Adelaide group planning our South Australian meeting with its aim of forcing the royal commission. Held on the fourth anniversary of the 16-year-old John Pat's violent death in Roebourne, WA, one thousand people came, over half Aboriginal. This gathering too was a kind of liturgy. Only later did I fully understand the rightness of Lillian Crombie's dance to the classic 'Brown Skin Baby' — intertwining the two issues: the children of the Stolen Generation becoming many of the adult Black Deaths in Custody. The royal commission examined 99 Aboriginal deaths in custody and made 339 recommendations. Aboriginal people were completely over-represented in the Australian prison system — imprisoned at seven times the rate of the mainstream population. In 2018 what has changed? Aboriginal long-term advocates like Tauto Sansbury have been warning for decades that 'Aboriginal Australians are the most disadvantaged, ostracised, criticised and victimised group in society'. Last month's Pathways to Justice report of the Australian Law Reform Commission confirmed that the imprisoned rate is now 14.7 times for men and 21.2 times for women. Three per cent of the population makes up an extraordinary 27 per cent of the adult prison population. In 1992 Philip Adams claimed that Who Killed Malcolm Smith? needed to be compulsory viewing for all Australians. Why? In 2018 Pope Francis names it as the beatitude, 'knowing how to mourn with others'. Maybe it's only this that will lead to the next: the 'hungering and thirsting for righteousness' so needed in today's world. Main image: Still from Richard Frankland's 1993 documentary Who Killed Malcolm Smith? The Australian Greens are the only political party I know that has an ethical approach to the treatment of asylum seekers. Please consider very carefully who you vote for. Australia's pshche won't be healed while people continue to vote for mainstream politicians who are complicit in keeping desperate asylum seekers in tortuous situations on Nauru or Manus Island. The real question is "Why is the incarceration rate seven times that of non-indigenous people?" Until that question is truthfully answered and addressed by all involved, advocates, politicians and our indigenous people, the healing answer will not be forthcoming. Thank you for another moving and thought provoking article, Michele. Treatment of Australia's indigenous people is very shameful and cannot be ignored as some Australians want to do. The Black Deaths in Custody Commission investigation of 1987 provided us as a nation with a golden opportunity to do something to achieve improved human rights for Aboriginal people and to advance the healing and reconciliation process in this country. The sad reality was that Australia governments ignored most of the 339 recommendations that were proposed by the Commission. I was a friend of Elliott Johnston, the Commissioner who formally presented the recommendations in 1991. He died in 2011 and I know that he was heart broken because our politicians had ignored most of the Commission's recommendations knowing full well what this would mean for Aboriginal people. The recommendations need to be adopted albeit so many years after they were drafted to advance the reconciliation process in our country. To assist this process, we need to re-establish a national indigenous people's council to advise governments to replace ATSIC, include a positive statement about our original people in the Australian Constitution and draw up a treaty. There is a long way to go. 'Government must understand that we as Aboriginal people have a right to be heard ... stop talking about us, start talking to us and act on what we tell you. Until this happens, nothing will change.' These words remind us we must write to government and opposition politicians to alter what has been and have them speak with our first people. We must rate it higher and discuss it with friends, at dinner parties or other outings, bring it up with work colleagues...so that what is unacceptable is brought into the light where it makes us all uncomfortable that we have to act to end it. I watched the Gallipoli service yesterday - this year coordinated by New Zealand. I found it interesting that NZ speakers spoke first in Maori and then in English, their National Anthem a verse in Maori and then in English. I realise there are many indigenous languages in Australia but, with the approval of our indigenous peoples, maybe learning more about and respecting local indigenous culture and languages in our schools would help with reconciliation. Who said 'from little things big things grow'? This is a very telling article Michelle, and so sad. A key mention though surely was the 15 year old who was illiterate and presumably effectively non-numerate. The family and personal community must ultimately be shockingly to blame for such complete lack of schooling and complete lack of a working future in the national economy and culture. Nothing but just hanging around the streets will inevitably lead to escalating crime, substance abuse and eventually incarceration. There has to be some personal and parental agency round this; victimhood alone leads to nothing. Appreciation to correspondents. As the article notes the incarceration rate used to be seven times the mainstream rate - and now the adult rate is 14.7 times for men and an even more extraordinary 21.2 for women. Tauto Sansbury's quote largely explains why in general terms. The Australian Law Reform Commission Report Pathways to Justice and Morry Bailes' article also cite two specifics - fines and mandatory reporting. The latter removes power from the judge to look at the context of the case and so a custodial sentence may still be handed down for what can be minor offences. As I understand it, SA is one of the few jurisdictions which now does not imprison for fine default. However the fine system can now escalate so enormously that it is seemingly impossible anybody living below the poverty line to ever pay it off. By-passing the majority of recommendations from the Aboriginal Deaths in Custody Commission has aggravated the already serious disadvantage of Indigenous Australians, caused by the historical dispossession of land perpetrated through the frontier wars, followed by 'protection' then assimilation of mixed-race children (taking the children away), before we reached the more positive landmarks of citizenship and, later, land rights. However the hope of land rights in the late 1970s has not developed into re-establishment of active, self-supporting communities in the more remote areas of Australia and a two-way integration in rural communities throughout the more settled regions. Self-supporting communities in remote areas and two-way integration in regional areas needs employment opportunities which, in turn, need higher levels of education in all fields - technical, commercial, and the humanities. Re-examination of approaches to indigenous education that have proven successful, and provision of resources to enable broader spread of these approaches will facilitate development of employment opportunities beyond the questionable "work for the dole". In education and potential work opportunities, as in all matters concerning Indigenous Australians , the input of Aboriginal communities in all local areas is absolutely necessary, without which the present malaise will continue. Thank you Michele, helping to raise our consciousness once more about these important issues. I think you have offered a critical insight, which makes it even harder to change what is: perhaps as a nation it - this violence, this contempt of the 'other' by mainstream Australian society - is in our DNA. Thanks Michelle. With the Silent March coming up on Saturday, your article is timely. I struggle with anger over my people's ongoing unwillingness to allow these astonishing statistics to be presented year after year with a consciousness barely touched by it. We are diminished by our ignorance, carelessness, rationalisations. Tauto's determination to hold his torch throwing light into this dark corner of our nation imposed on hundreds of nations, is just admirable. Thank you Michele. I attended a session on Safeguarding Children as a result of the Royal Commission into Sexual Abuse and as we finished the reading of the last paper I felt a stab of sadness and wondered how many compulsory sessions there were across the community making the 339 recommendations of the Royal Commission into Deaths In Custody policy in the appropriate agencies? The Turnbull government holds the view that tax relief for companies and middle-income earners is necessary to improve the economic prosperity of Australia, offering a financial hand up to households struggling to pay their bills. For those on Newstart, though, those same increased costs of living are being all but ignored.